He might be small, but he’s one angry Ninja. I-Ninja stars a consummate warrior who has spent years mastering his weapons and honing his skills. Challenged by the world’s most wicked villain, Master O-Dor, and his menacing army of Ranx, the young ninja must now put his skills to use. 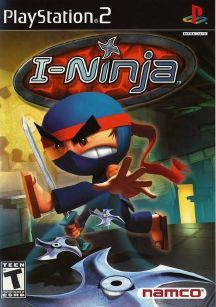 With access to multiple weapons, including shurikens, swords, blowguns, and rocket launchers, guide I-Ninja through imaginative missions, mini-quests, and a face off with a menacing 150-foot robot. There is no challenge too big or risk to great for I-Ninja.